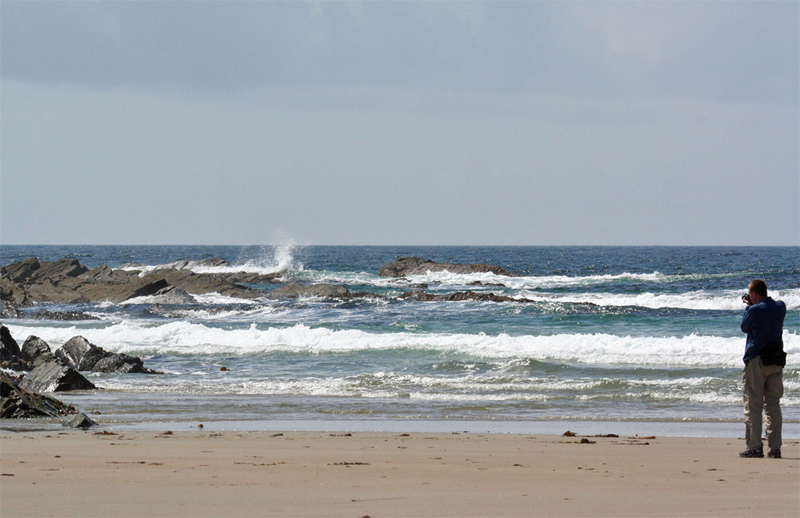 A summer day in Saligo Bay a few years ago with me taking pictures of the waves breaking over the rocks. Picture courtesy of my sister Imke. This entry was posted in Beaches, Guest Picture, Landscape, Repost, Sunny Weather and tagged Islay, Rhinns of Islay, Saligo Bay by Armin Grewe. Bookmark the permalink.